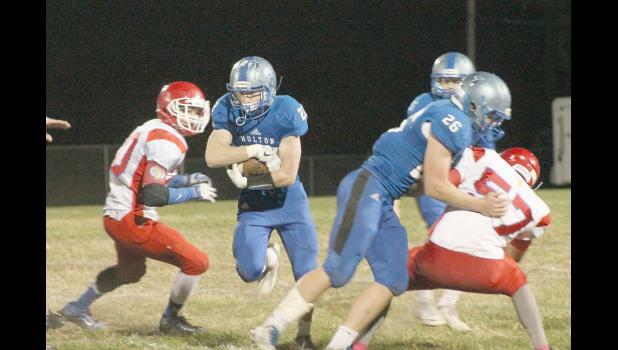 Holton senior AJ Haussler (no. 22 blue jersey) runs up the middle with a good block from teammate junior Jackson Martin (no. 26 Blue Jersey).